Where Inheritance Tax is payable as well as non-taxable estates. At the outset of your matter, you will have a dedicated member of our team to take you through the whole process of the estate administration. Our team is supervised by Amy Makaruk and Julie Neilson. 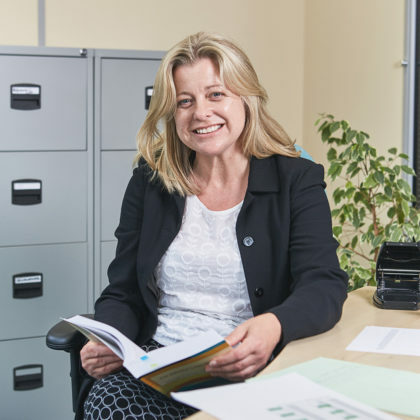 During an initial meeting, we will ask you for a range of information so that we can best assess what work is likely to be undertaken throughout the administration of an estate and consider with you whether there are any special features. Once we have completed this assessment we are able to provide you with a bespoke estimate of the costs for our professional services, what these services cover, a realistic timescale and will give clear guidance on the payments that will be due to third parties (called disbursements). We do not charge a percentage value of the estate. very simple estates, where there may be one or two bank/building society accounts, personal possessions, little or no debts, one or two beneficiaries and no property then our typical costs for full estate administration work is likely to between £1,200.00 – £3,000.00 plus VAT. moderately complex estates, including several bank/building society accounts, investments, shares, property, some debt, the estate needs to be registered for income/capital gains tax purposes, several beneficiaries and where Inheritance Tax allowances may need to be claimed then our typical costs for full estate administration work is likely to be between £3,000.00 – £8,000.00 plus VAT. complicated estates (including all the elements for moderately complex estate) that may also be subject to Inheritance tax, foreign assets, large number of beneficiaries, unusual gifts, special features then our typical costs for full estate administration work is likely to be between £8,000.00 – £20,000.00 plus VAT. If the estate is likely to be insolvent or there are insufficient assets to cover all of the gifts in the will then we consider this to be a particularly specialised area of estate administration work and will require a bespoke cost estimate that may not be in line with the guidance above. Probate fees £155.00 plus £0.50 for each additional sealed copy of the grant. Oath fee £7.00 per executor or £5.00 per administrator where there is no will (please note if the deceased made codicils then this will increase the oath fees by £2.00 for each additional document. Bankruptcy search fees £2.00 per name. S. 27 Trustee Act Notices – we currently use a third-party provider to complete these notices and the usual charges are around £185.00 + VAT but can vary depending upon the publications used for the notices. If accountants complete income tax returns for the deceased or Personal Representatives, then the professional charges of the accountant will be an additional expense. We cannot provide an estimate for this type of expense. If the estate is likely to be subject to a dispute, we will consider this with you as early as possible. A dispute is likely to delay the administration of the estate but will also incur additional costs that are not covered by the guidance above. Our litigation department will be able to provide guidance regarding the typical costs relating to disputes or litigation action. If the estate includes property or land that will be sold in due course, then we can provide you with information regarding our conveyancing costs which are not included as part of our estate administration work. If we are instructed to prepare and complete a deed of variation, this will incur an additional charge. If the deceased set up any trusts in the will or if there are statutory trusts arising on intestacy, then any costs relating to the running of those trusts (after the Personal Representatives have transferred assets to the trustees), will not be included in our estate administration costs. We aim to obtain a Grant of Representation within 6 months of the date of death (for simple estates, this can be much sooner but for estates subject to Inheritance Tax this can take around 6-8 months). If the estate is subject to Inheritance Tax we aim to settle the tax liability in full or part within 6 full calendar months of the date of death. We would aim to submit a tax return to HMRC within this timescale although it is possible to submit a return up to 12 months following the date of death. For simple estates, once the grant is obtained, we would expect to wind up the estate within 8-12 weeks of the date of the Grant. For complex (including taxable estates) we are dependant on third parties such as HMRC and therefore is it more difficult to predict how long estate administration may take. For this reason, we recommend that you allow for 12 – 24 months of the date of the Grant. The above information is to illustrate possible timescales. We will always consider with you a realistic timescale based on the factors relevant to your estate and we aim to keep you updated regarding progress throughout. Stage 1a – locating a will or considering whether the deceased person dies without making a will or considering whether the will is valid or not. Stage 2a – once the assets and liabilities account is approved, we will prepare the estate administration documentation. This will include an Oath as well as a form of HMRC tax return. Stage 2b – for the purpose of completing an HMRC tax return, we will consider what exemptions, reliefs and tax allowance may be available to the estate and if applicable prepare a simple inheritance tax calculation for your consideration. We will also make arrangements with third parties or with you to settle the tax liability in whole or part and will aim to complete this within 6 months of the date of death. Stage 4 – register the grant with third parties such as banks, building societies and other assets holders and collect in the assets. We will settle known liabilities. Stage 5 – arrange for the distribution of the estate. This may include the transfer of specific assets, payment of fixed legacies and interim distributions to residuary beneficiaries. Stage 6 – the estate may be liable or potentially liable to different taxes during the administration period (that is the period from the date of death until the executors are able to determine that all liabilities have been settled and can complete a final distribution to the residuary beneficiaries). The most common taxes arising will be income tax and capital gains tax. 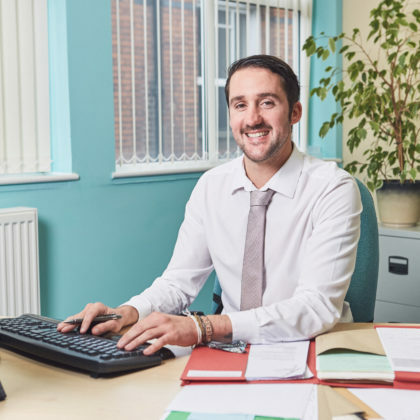 We will consider with you whether the estate needs to be registered with HMRC for these purposes, assist with and complete tax returns or alternatively liaise with accountants. We will also consider whether there is any tax planning appropriate to minimise the estate’s exposure to these taxes. Advertising for unknown creditors under s.27 Trustee Act 1925. Completing bankruptcy searches against each beneficiary. Stage 8 – prepare and complete Estate and Distribution Accounts and complete final distributions to residuary beneficiaries. 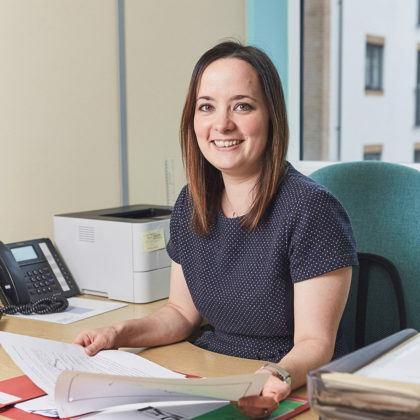 Our experienced solicitors in the Wills, Trusts and Probate team are able to help you plan for your future, for the benefit of you and your family. They will be friendly and sensitive to your needs and use their legal expertise to find solutions to suit you.